We invite you to post more information in the comments section below because the public has a right to know the real reasons why America’s wild horses are being terrorized, pushed off public land, to end up at risk of going to slaughter for human consumption abroad. Sadly the news in Wyoming doesn’t know what fair reporting means and is not covering the crisis as they should. It’s shameful the energy industry, government employees and our elected officials refuse to find the win-win for wildlife and industry to coexist. Instead they are wiping out America’s wild horses to cash in on their land. Recently in the Wyoming Checkerboard roundup, the BLM zeroed out most of the wild horses despite public outcry. The BLM also tried to blame horse advocates for taking more than 400 additional wild horses when the truth is they were allegedly pushed by Governor Mead to take as many as they could find. Cheyenne, WY (May 12, 2014) – Governor Mead unveiled a report today showing Wyoming is well positioned to be a leader in developing a liquefied natural gas (LNG) industry for high horsepower uses. Since Governor Matt Mead took office in January of 2011, he’s made it a point to maximize the use of Wyoming’s natural resources. “One of the things I really wanted to accomplish was an energy strategy. An energy strategy is energy, economy and environment,” Mead said. Mead went out and partnered with Gladstein, Neandross & Associates (GNA), to provide an “LNG road map” about the feasibility, potential, costs and benefits of using liquefied natural gas. “Liquefied natural gas gives our customers who are currently use diesel to power their engines the ability to reduce costs of ownership. Abundantly domestically produced natural gas offers lower fuel costs and reduced emissions,” said Richard Wheeler, President & CEO of Wyoming Machinery Co.
Wyoming is the third leading producer of natural gas and the use of LNG as a supplement to diesel fuel in Wyoming’s high horsepower sectors such as mining, drilling and over-the-road trucking. According to GNA, the investment could return 160 to 170 million dollars in fuel cost savings for Wyoming based businesses. “It’s an opportunity for coal companies to lower their fuel costs and also use a product that we have in abundance in Wyoming,” Mead said. This isn’t the first time a public affairs firm is pushing energy driven missions through at the expense of wildlife and especially native wild horses. Just follow the money . . .
Kearns and West Inc., the same “Collaboration and Strategic Communications” company that ran public meetings for the corrupt Marine Life Protection Act (MLPA) “Initiative” [and who illegally barred public recording and comment at their public meetings] has also been accused of running manipulative “public workshops” for the BLM – in the controversial roundup of wild horses in northern Nevada, and other Western States. Although Kearns and West, Inc. claims to represent the public and the environment, and impartially facilitate public meetings, in reality they represent energy interests. They function to facilitate government approval for private projects, and shift policy in favor of private “stakeholder” interests. They specialize in marginalizing and excluding public involvement – with contrived and manipulative “stakeholder collaboration” processes. Interestingly, in the Brave New World of modern day environmental policy, private interests, not tax dollars, are financing public policy processes and decisions. These processes were once taxpayer supported, and deemed to be fair and impartial. But now, with governments going broke, governmental processes and the agencies entrusted to design, control and regulate corporate industrial interests, have been bought and paid for by the same corporate interests they are supposed to regulate. Corporate crooks such as Kearns and West have stepped in the void, to conduct what are ostensibly public meetings, but in reality are paid for by private corporations and individuals. The MLPA “Initiative” was a classic example of corruption easing it’s way into a bankrupt democracy. Kearns and West’s clients are a laundry-list of energy and natural gas interests. They are cashing in on what once would have been unacceptable, criminal conflict of interest in determining public policy. In the case mentioned below, Kearns and West was allegedly involved in helping to exterminate wild horses from Northern Nevada, so that the Ruby Pipeline could go through. The Ruby Pipeline is a 42 inch diameter natural gas pipeline, that as of last year, runs from 680 miles from Wyoming to Oregon, and passes right through the heart of the wild horse country in Northern Nevada. According to many in the west, the wild horses were an obstacle to the pipeline project that the BLM (Bureau of Land Management) did not want to deal with. So in comes Kearns and West – to hold “public workshops.” But why is a company with direct ties to natural gas and energy interests – running public meetings and workshops, supposedly on behalf of the public – on an issue between wild horses, public land, and a natural gas pipeline project? There is nothing more heartbreaking than seeing helicopters terrorizing the beautiful wild mustangs, a living icon of the American West. The 2010 press release below is part of a tragedy that is continuing to this very day. Denver, CO (June 14, 2010)—The Cloud Foundation has learned that the San Francisco based public relations and public affairs firm, Kearns and West, with ties to big energy and offices across the country, has been hired to push the Salazar Plan for Wild Horses and Burros through Congress in Fall 2010—despite public outrage. Kearns and West has expertise in crisis management as well as accomplishing policy and regulatory goals. Their clients range from Mineral Management Services (MMS) and PG&E to Federal Energy Regulatory Commission (FERC). The Department of Interior (DOI) has enlisted the firm using the Institute for Environmental Conflict Resolution (ECR) as the go between. Senior mediator of Kearns and West, J. Michael Harty will facilitate an unprecedented public workshop in Denver, Colorado at the Magnolia Hotel, 818 17th Street, on June 14th followed by the Bureau of Land Management (BLM) Public Advisory Board Meeting on June 15th. Both days will be live-streamed and viewing available on http://www.thecloudfoundation.org. The public and members of Congress are encouraged to watch. The public will protest on June 15th from 11:00 a.m. to 1:00 p.m. with a press conference at noon. BLM’s recently announced and highly polished but unsubstantial, “Strategy Plan” as well as their association with PR firm Kearns and West, appears designed to manipulate the public and marginalize the opposition to the Salazar Plan for wild horses and burros. 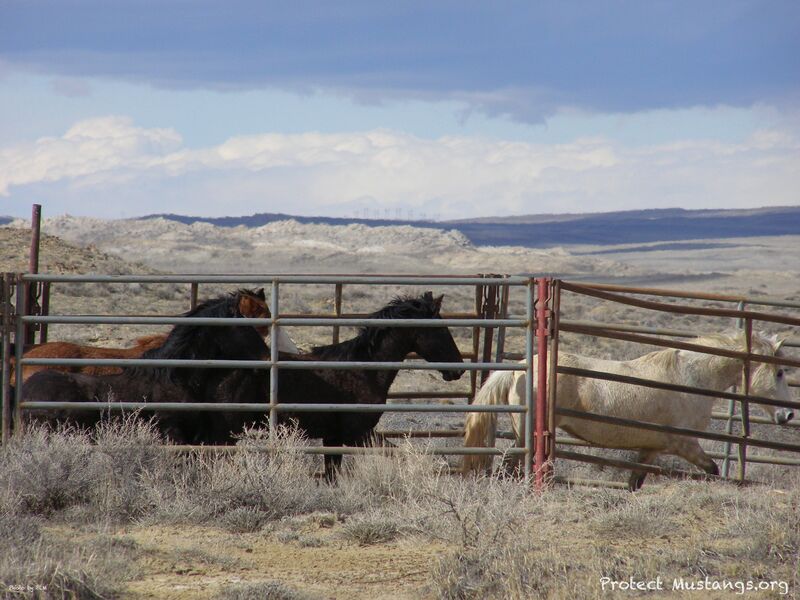 The plan calls for the purchase of Eastern and Midwestern “preserves” populated by sterilized wild horses, captured from their Western ranges. “This is ALL about manipulating public opinion. And ramming ONE thing – Salazar’s Plan – through” states author R.T. Fitch. The Kearns and West Salazar Plan Executive Summary states, ‘The U.S. Institute for Environmental Conflict Resolution (‘Institute’) is assisting BLM in assessing stakeholder interests and developing an effective stakeholder engagement plan for the Strategy.’ Disturbingly, BLM often does not include the public as a stakeholder in their planning documents regarding the management of wild horses and burros. According to their website, Kearns and West offers their clients (in this case the BLM) ‘A compelling credible, resonant case. True, high-impact support for your position.’ Advocates support a new direction that abandons the endless, expensive cycle of roundup, removal, and warehousing. BLM must adopt a far less expensive path that is kinder to the land and the wild horses legally living there, one that contains truly transparent solutions, not a slick, taxpayer-funded PR campaign. Besides specializing in ‘accomplishing policy and regulatory goals’ Kearns and West also represents PG&E—a primary customer in the Ruby Pipeline natural gas project threatening public lands and five public herds with environmental devastation from Wyoming to Oregon. Kearns and West also represents Duke Energy, the Association of Western Governors and the US Fish and Wildlife Service, among others. While Secretary Salazar vowed to restore the Interior Department’s ‘respect for scientific integrity’ he has failed to consider science, reason, or even the law when it comes to managing our wild herds. Kearns and West has been known to gather scientific experts and build a movement of common interest “stakeholders” to crush public outcry and true environmentalism. Wild horse advocates feel the Kearns and West prepared Salazar report for Congress will be biased in favor of big energy ties with DOI at the expense of federally protected wild horses who somehow are in the way of ‘The New Energy Frontier’. “We hope Monday’s workshop will be a productive one rather than a demonstration of BLM’s inability to change,” concludes Kathrens. Who is really dictating wild horse roundups and removals and why are they zeroing them out? Protect Mustangs invites you to research the subject and post what you find in the comments below. This is also a welcome forum for you to politely voice your outrage at wild horse removals. Protect Mustangs is a 100% volunteer non-profit organization where the wild horses come first! We are not paying big bucks on marketing campaigns. The majority of our donations go towards feeding and caring for rescued wild horses. Leading environmental consulting firm for emission reduction, energy and transportation policy, and market development for alternative fuel vehicles. Data removed: http://www.recovery.gov/arra/News/featured/Pages/Some-Recipient-Data-Being-Removed.aspx “​​​​​The Recovery Accountability and Transparency Board will sunset on September 30, 2015 and has decided for its last year not to renew the licensing agreement that allows for the display of certain recipient-related data. As of October 1, 2014, maps, charts, and graphs on the site will no longer reflect this information. This change will also include the removal of the recipient profiles as well as the cumulative national download file. Kearns & West is a woman-owned collaboration and strategic communications firm founded in 1984. Our high-stakes projects include work at local, state, regional, and national levels and cover a variety of sectors including energy, water, marine resources, land use and natural resources, government, business and academia, and technology and Internet. Kearns & West understands the special requirements of working with stakeholders to achieve an organization’s goals. We have a proven record of success thanks to our stakeholder-centric approach of providing robust collaboration and strategic communications services. Our commitment to positive, mutually beneficial results has helped us maintain long-term relationships with the people and organizations we assist. When will Australia come clean with the real reason they want to kill off the brumbies? Read the biased spin piece (below) that doesn’t mention the other side of the debate. Why isn’t ABC including brumby advocates in this article? An aerial cull of thousands of feral horses has started on two Indigenous pastoral leases in the central Kimberley. The Kimberley Rangeland Biosecurity Group says there are about 6,000 feral horses on Lake Gregory and Billiluna stations. However, the Pastoralists and Graziers Association believes the number is closer to 9,000. The Aboriginal Lands Trust says the horses must be removed to protect the local environment, to comply with legal obligations and to mitigate animal welfare and public health issues. The RSPCA is also supporting the aerial cull. Clinton Wolf is the chair of the Aboriginal Lands Trust. “What I am firm on is the number in relation to the aerial count and that was 6,000 horses,” he said. Mr Wolf says the traditional owners want the feral horse numbers under control for business and personal safety considerations. “Build a fence one day and the next day it’s not there because a huge herd of wild horses has run right through the middle of it. You can see the distress in their eyes and they’ve had a connection with these horses for 120 years. “When you see them say we’ve had enough and sure we want a few horses out here because we want to maintain that connection, but you can’t have six to seven thousand horses running around and what is concerning them also is when there was no water around, the horses were coming into the community. “And you’ve got two or three year old kids walking around and we’re not saying wild horses are aggressive or anything like that, but when you’ve got a wild animal that suddenly takes flight over a vehicle going past and takes off and runs over the top of a child, is anyone going to turn around and say ‘well, we should put up with that’, because quite clearly we shouldn’t. The Australian Wildlife Conservancy has backed the cull of the brumbies at Lake Gregory “as long as it’s humanely conducted”. The AWC owns more than 800,000 acres in the Kimberley, most of it former pastoral stations. The land is being rehabilitated and cleared of feral animals to help build up numbers of endangered species. Chief executive Atticus Fleming says the brumbies don’t belong there. “Feral horses do have a significant impact on the environment, they are driving the decline in our wildlife, along with other feral herbivores. Mr Fleming says the option of rounding up and breaking in the brumbies wouldn’t be practical in the vast Kimberley. Reports from Australia that up to 3000 wild horses have been killed and they want to kill 3000 more! Join the international outcry to Stop Killing the Brumbies! Reports are coming in from Australia that 2-3,000 have been massacred and the wild horse killers want to kill 3,000 more. We will keep you posted as more information comes in. Help shine the light on this darkness. Share this information with your friends. Evidently a huge liquid natural gas (LNG) deposit, the largest outside the U.S.A., has been discovered in Western Australia’s Kimberely, where these wild horses roam. LNG is the new export gold–selling to the Asian market for their growing electricity needs. Could the mass slaughter be connected with plans to industrialize the area into a massive fracking zone? Thank you for doing what you can do to help save the wild horses.